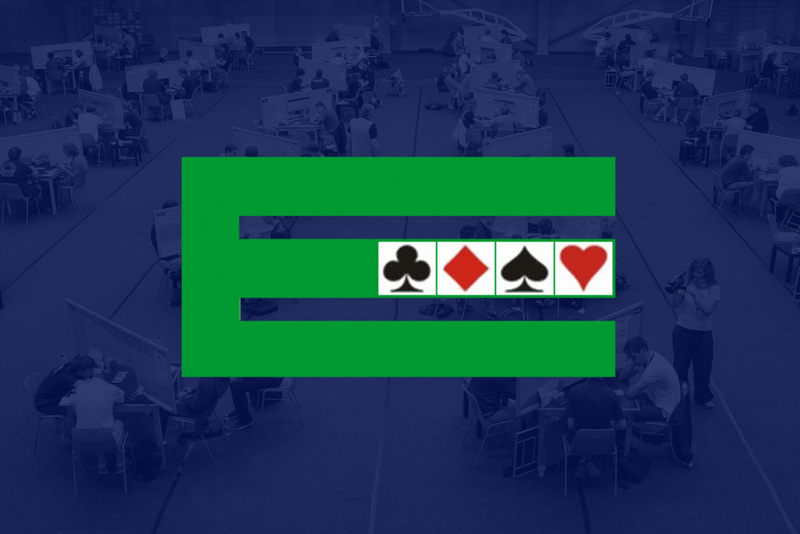 The European Bridge League (“EBL”) is the governing body of the Sport of Duplicate Contract Bridge in Europe. As such it provides a wide range of services and support to European Bridge Federations and Bridge players. The EBL was founded in 1947 in Copenhagen by the Bridge Federations of eight countries – Belgium, Denmark, Finland, France, Great Britain, The Netherlands, Norway and Sweden. At the same inaugural meeting the eight founding members of the League voted to dissolve the International Bridge League which had been established in 1932 and organised eight annual Championships in pre-World War II Europe. The founding meeting in Copenhagen was instigated by Herman Dedichen of Denmark who was appointed Honorary Secretary of the EBL. Anthonie J E Lucardie of The Netherlands was elected the first EBL President. From its original eight founding countries the EBL now has a membership of 46 National Bridge Organisations. The membership grew steadily during the 1960’s and 1970’s with a leap in numbers during Jose Damiani’s presidency (1987-1995) following the fall of the Berlin Wall in 1989 which liberated Eastern Europe from state disapproval of card games. In 1948 the League, jointly with the Portland Club and the American Contract Bridge League, promulgated the International Laws of Bridge. Inspired by EBL President Baron Robert de Nexon (1951-1965) of France, the World Bridge Federation was formed in Oslo in 1958 by delegates from the EBL, USA and South America. Baron de Nexon was elected as first President of the World Bridge Federation (“WBF”) and holds the distinguished record of being simultaneously presidents of the EBL and the WBF between 1958 and 1964. In its updated Constitution (adopted in June 2016) the EBL is defined as Zone 1, “the geographical area (principally but not exclusively the Continent of Europe) designated by the WBF to that effect”. Thus the parent (the EBL) has become subsidiary to the child (the WBF). 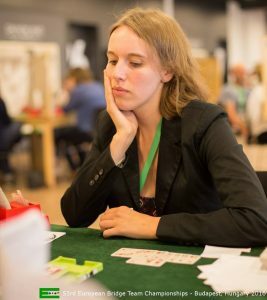 At its simplest, all a Bridge Championship requires are tables, chairs and packs of cards. But life is not as simple as that. Events need to be organised – located, equipped and staffed. And there is a darker side to the Game. There have always been a small minority of top players who will take an unfair advantage if given the opportunity to do so. 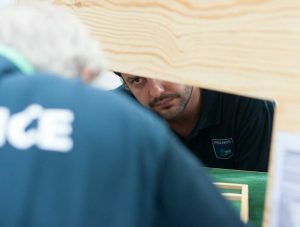 The history of European Bridge Championships over the last forty years is one of constant technical improvement, using technology to make the play better for the competitors and harder for the cheats. In the 1970’s Jaime Ortiz-Patiño (EBL Treasurer 1975 – 1983), a leading Swiss international and later President of the World Bridge Federation, was concerned about the behaviour of certain leading players. Ably assisted by Harold Franklin, the EBL Chief Tournament Director, he introduced Bidding Boxes (a Swedish invention) to EBL Championships. Then in 1979 at the Lausanne EBL Teams Championships he introduced (and paid for) Table Screens. Computer scoring was also developed in the late 1970’s (starting in France and now used universally), followed by Duplimate (dealing and duplicating machines) in the 1980’s (invented and patented by Jannersten Förlag), symmetrical cards in the 1990’s (the idea of Jose Damiani) and wireless scoring by Bridgemate (a Dutch invention) in 2005. The Internet has enabled a large audience to watch Bridge Championships live and online. For once the technology was not developed in Europe – being the invention of the American Fred Gitelman and his company Bridge Base Online (“BBO”). BBO recordings have recently been used to determine whether certain international pairs were communicating illegally to each other. Eight European Teams Championships were held before the 2nd World War under the auspices of the International Bridge League. To date a further 45 Teams Championships have been organised by the EBL. Before covering the Teams Championships in greater detail, mention must be made of other competitions – past and present – organised by the EBL. The European Bridge League Junior Teams Championship, promoted by André Boekhorst, started officially in 1972, although there had been two “unofficial” Junior Teams events in Prague and Dublin. It had an “unofficial” early few years because the then EBL Executive Committee was reluctant to allow bridge to be associated with young people. To begin with it was a single event for teams under the age of 26, but has since expanded to four categories of “juniors” – Under 26 Open Teams, Under 26 Women Teams, Under 21 Teams and Under 16 Teams. The European Open Pairs Championship was launched in 1976 and over the years was augmented with Women’s (Promoted by Anna Maria Torlontano), Mixed (proposed by José Damiani) and Seniors’ Pairs (developed by Nissan Rand). The event was held in March of each year and benefited from the considerable sponsorship of a tobacco company. The withdrawal of tobacco sponsorship in 1996 and another leading sponsor in 1999 put great strain on the finances of the EBL. To remedy the problem the EBL terminated the March Pairs Championships and replaced them with a larger Summer event – the European Open Championships – held in June of every odd-numbered year. The concept of a European Open Championship was introduced by Panos Gerontopoulos (EBL Secretary 1995 – 2010) and developed into a reality by EBL President Gianarrigo Rona (1999 – 2010), starting with the Menton Championship in 2003. The European Open Teams Championship (from 1932), the European Women’s Teams Championship (from 1935) and the European Seniors Teams Championship (from 1995) are the blue riband events of the League. They have been held as far West as Killarney in Ireland, as far East as Beirut, Lebanon; as far South as Malta and as far North as Turku in Finland. Host countries have been widely spread across Europe with England and Italy staging the most (five each). However many more countries have been involved in Junior Championships, Champions’ Cups, TD and NBO Seminars and many remain committed to hosting an EBL event in the future.